(In case you’re wondering why the colours in the pics above differ from the one on the site, my printer is running out of ink). GeoNet , is a useful resource for information on earthquakes, volcanoes, landslides and tsunamis, that there have been several more since this morning’s biggi. If you click on the felt-it button it takes you to a request for people who felt the quake to fill in a questionnaire. Widely felt throughout New Zealand. Note: the location, magnitude and depth have been revised. TV One is planning to broadcast an extra half hour of Q&A tomorrow to cover this morning’s earthquake. TV ONE will feature an extended Q+A tomorrow from 9am – 10:30am looking at the issues arising from the Canterbury Earthquake. Paul Holmes will interview Christchurch Mayor Bob Parker live from the earthquake devastated central city. Prime Minister, John Key will join us in the Auckland studio to talk through the national issues arising from the worst earthquake to hit NZ since 1931. It’s been a tragic week for Canterbury – Guyon Espiner talks to Reserve Bank Governor Alan Bollard about South Canterbury Finance and his new book, Crisis: One Central Bank Governor & the Global Financial Collapse and his battle to save our finance sector during the worldwide meltdown. Was the deposit guarantee scheme that saved SCF this week well conceived? Did anyone see this coming? And what does he really think of the government’s efforts to counter the crisis? Dr Therese Arseneau is joined on the panel by 2025 Taskforce head, the former Reserve Bank Governor and National Party leader, Dr Don Brash and Waitakere mayor Bob Harvey, who’s soon to take over development of the Auckland waterfront. @ Bloggerheads, are Keith Ng from Public Address and Ele Ludemann from Homepaddock. Quagswag – to shake to and fro. Q&A’s bloggerhead slot aims to give two different positions on the issue of the week. Tomorrow it’s Keith Ng from Public Address, chosen because he’s young, urban and financially literate and me because I’m not so young, rural and . . . ? Paul Holmes interviews former South Canterbury Finance Chief Executive Sandy Maier about what went wrong and what chance taxpayers have of recovering the losses. South Canterbury Finance’s collapse has its origins in the global financial crisis. Reserve Bank Governor Alan Bollard joins Guyon Espiner to talk about his new book, Crisis: One Central Bank Governor & the Global Financial Collapse and his battle to save our finance sector during the worldwide meltdown. Was the deposit guarantee scheme that saved SCF this week well conceived? Did anyone see this coming? And what does he really think of the government’s efforts to counter the crisis? Paul and Martin Sneddon talk rugby. One year from RWC kick-off, are we ready? Or are the critics right to be sceptical? Q + A is broadcast live 9-10am Sunday on TV ONE and repeated at 9.10pm on Sunday nights and 10.10am and 2.10pm on Mondays on TVNZ 7. (TVNZ 7 screens on Freeview Channel 7 and Sky TV Channel 97). What’s wrong with our roads? We drove more than 3,000 kilometres in our 12 day visit to Australia’s Top End and passed only one lot of road works. In the 100 k of State Highway 1 I drove on to get to Dunedin today I passed seven separate road works. Northern Australia doesn’t have the extremes of hot and cold we do. But we’ve driven in lots of other countries which also get extreme temperatures and we never see as many road works as we do at home. Is it something to do with our climate and geology? Is it the materials we use? Are the roads badly built to start with? Or is it a hangover from the old Ministry of Works day when more people than needed were employed and dugand given roads to dig up so they had something to do? 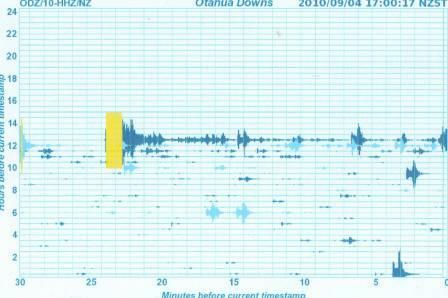 The BBC broadcast the news almost immediately, by 5am Radio New Zealand National was reporting it was centred west of Christchurch, the power was off in the city and there was damage to a road. 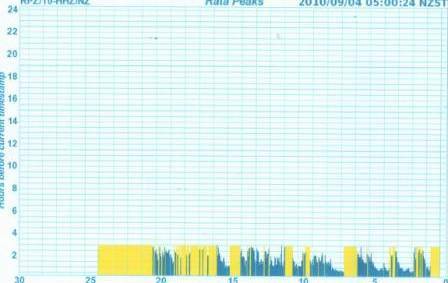 At 7.4 on the Richter Scale it’s the biggest earthquake I’ve ever felt but a quick look showed nothing amiss. Friends just south of Ashburton reported pictures falling off their walls but no major damage. 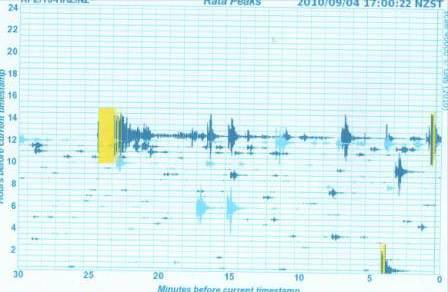 The quake has been downgraded to The initial quake ws followed by a second one measuring 7.1 on the Richter Scale. 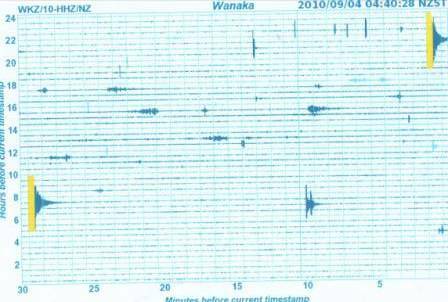 RadioNZ National which is doing an earthquake special is just broadcasting Christchurch mayor Bob Parker declaring a state of emergency in the city. So far just two reports of serious injuries to people but there is massive damage to buildings and infrastructure including water and sewerage pipes. Cellphone towers are being powered by batteries which are likely to run out soon which may affect coverage well beyond Canterbury. Shamefully there are also reports of looting. The Press has news and photos. So the rumour that God had invested in South Canterbury Finance must be true. The epicentre was near Darfield. John Key has just told TV3 that the house of Selwyn MP Amy Adams who lives near there has been wrecked. With the power off there’s an urgent need for generators to ensure cows can be milked and some dairy sheds have been damaged. 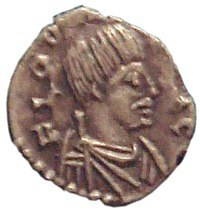 476 Romulus Augustus, last emperor of the Western Roman Empire, was deposed when Odoacer proclaimed himself King of Italy. 626 Li Shimin, posthumously known as Emperor Taizong of Tang, assumed the throne of the Tang Dynasty of China. 1666 In London, the worst damage from the Great Fire occurred. 1781 Los Angeles, California, was founded as El Pueblo de Nuestra Señora La Reina de los Ángeles de Porciúncula (The Village of Our Lady, the Queen of the Angels of Porziuncola) by 44 Spanish settlers. 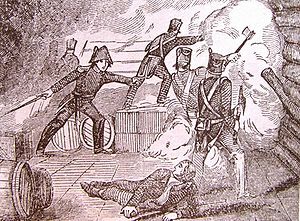 1812 War of 1812: The Siege of Fort Harrison began when the fort was set on fire. 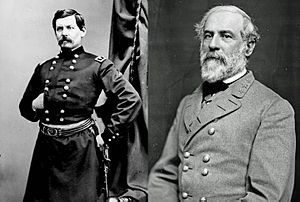 1862 Civil War Maryland Campaign: General Robert E. Lee took the Army of Northern Virginia, and the war, into the North. 1863 Soon after leaving Nelson for Napier, the newly built brig Delaware was wrecked. Accounts of the incident often focus on the heroism of Huria Matenga, the only woman in a party of five local Maori who assisted the crew to shore. 1870 Emperor Napoleon III of France was deposed and the Third Republic declared. 1884 The United Kingdom ended its policy of penal transportation to Australia. 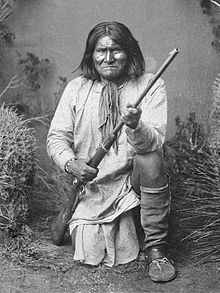 1886 Indian Wars: after almost 30 years of fighting, Apache leader Geronimo, with his remaining warriors, surrendered to General Nelson Miles. 1888 George Eastman registered the trademark Kodak and received a patent for his camera that used roll film. 1894 In New York City, 12,000 tailors struck against sweatshop working conditions. 1901 William Lyons, British industrialist (Jaguar cars), was born (d. 1985). 1917 Henry Ford II, American industrialist, was born (d. 1987). 1919 – Mustafa Kemal Atatürk gathered a congress in Sivas to make decisions as to the future of Anatolia and Thrace. 1937 Dawn Fraser, Australian swimmer, was born. 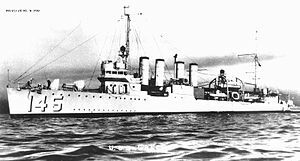 1941 World War II: a German submarine mades the first attack against a United States ship, the USS Greer. 1944 World War II: the British 11th Armoured Division liberated the Belgian city of Antwerp. 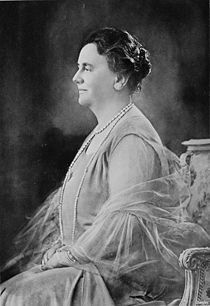 1948 Queen Wilhelmina of the Netherlands abdicated for health reasons. 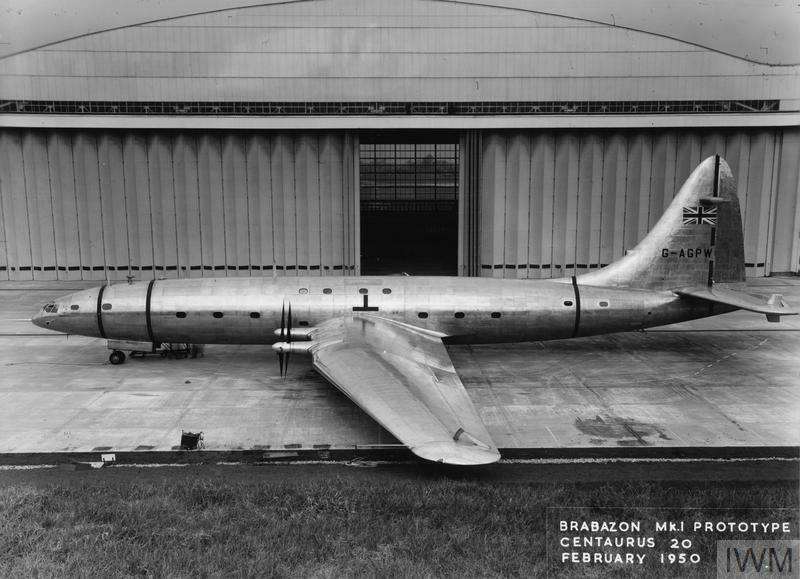 1949 Maiden flight of the Bristol Brabazon. 1949 The Peekskill Riots erupted after a Paul Robeson concert in Peekskill, New York. 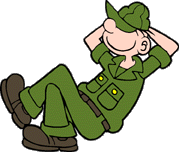 1950 First appearance of the “Beetle Bailey” comic strip. 1950 Darlington Raceway was the site of the inaugural Southern 500, the first 500-mile NASCAR race. 1951 Martin Chambers, English drummer (The Pretenders), was born. 1951 The first live transcontinental television broadcast took place in San Francisco, California, from the Japanese Peace Treaty Conference. 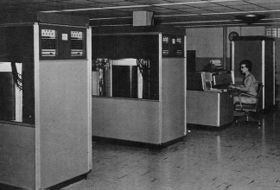 1956 The IBM RAMAC 305 was introduced, the first commercial computer to use magnetic disk storage. 1957 American Civil Rights Movement: Little Rock Crisis – Orval Faubus, governor of Arkansas, called out the National Guard to prevent African American students from enrolling in Central High School. 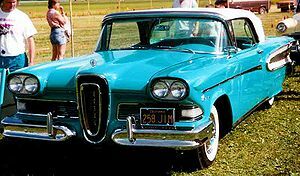 1957 The Ford Motor Company introduced the Edsel. 1963 Swissair Flight 306 crashed near Dürrenäsch, Switzerland, killing all 80 people on board. 1964 Scotland’s Forth Road Bridge near Edinburgh officially opened. 1967 Vietnam War: Operation Swift began: U.S. Marines engaged the North Vietnamese in battle in the Que Son Valley. 1971 A Boeing 727 Alaska Airlines Flight 1866 crashed near Juneau, Alaska, killing all 111 people on board. 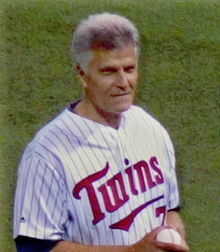 1972 Mark Spitz became the first competitor to win seven medals at a single Olympic Games. 1975 The Sinai Interim Agreement relating to the Arab-Israeli conflict was signed. 1977 The Golden Dragon Massacre in San Francisco, California. 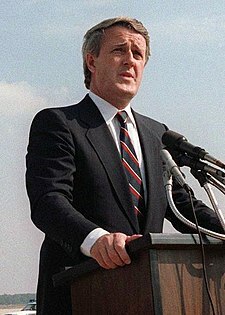 1984 Brian Mulroney led the Canadian Progressive Conservative Party to power in the 1984 federal election, ending 20 years of nearly uninterrupted Liberal rule. 1995 The Fourth World Conference on Women opened in Beijing with morethan 4,750 delegates from 181 countries in attendance. 1996 War on Drugs: Revolutionary Armed Forces of Colombia (FARC) attacked a military base in Guaviare, starting three weeks of guerrilla warfare in which at least 130 Colombians were killed. 1998 Google was founded by Larry Page and Sergey Brin, students at Stanford University. You are currently browsing the Homepaddock blog archives for the day Saturday, September 4th, 2010.